Bagoas is a a nationally acclaimed, award winning belly dancer based in the Seattle area. He works professionally as a performer, workshop instructor and costume designer both locally and abroad. He is currently booking for private parties, restaurants, corporate events and conventions. Bagoas presents high quality, fusion belly dance performances for all audiences. In 2010 Bagoas won the title of the Yellow Rose of Texas at Ya Halla Y'all in the Professional Tribal Alternative Men's category. Since then, he has been published in Zaghareet magazine, Belly Dance Japan, What Weekly, and the Capital Gazette. 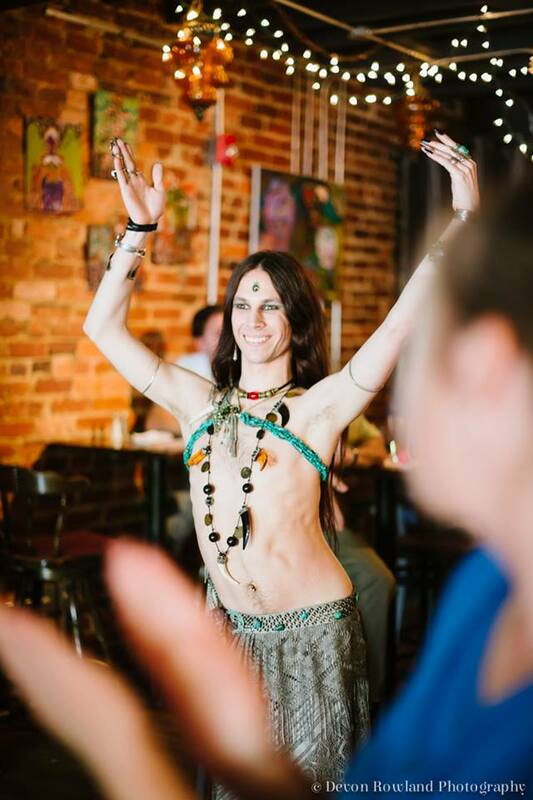 He has performed at oriental dance events including Rakkasah East, Tribal Fest, Belly Horror, Art of the Belly, Bandit Queens Tribal Cafe, DC Tribal Café, and Seven Cities Tribal Cafe. He has also been a featured performer and workshop instructor at major events such as the premiere Annapolis Fringe Festival, the Winter Festival of Wonders and Tribal Con. Bagoas draws on a variety of artistic abilities to accent his dance performances, including an extensive background in classical music, as well as fashion design, acrobatics and theatre. He has been lovingly described as an Atari joystick, one liquid muscle, the Energizer Bunny of belly dance, a blur of belly jiggles and most recently, a Red Hot Chili Pepper with Michael Jackson in his belly.